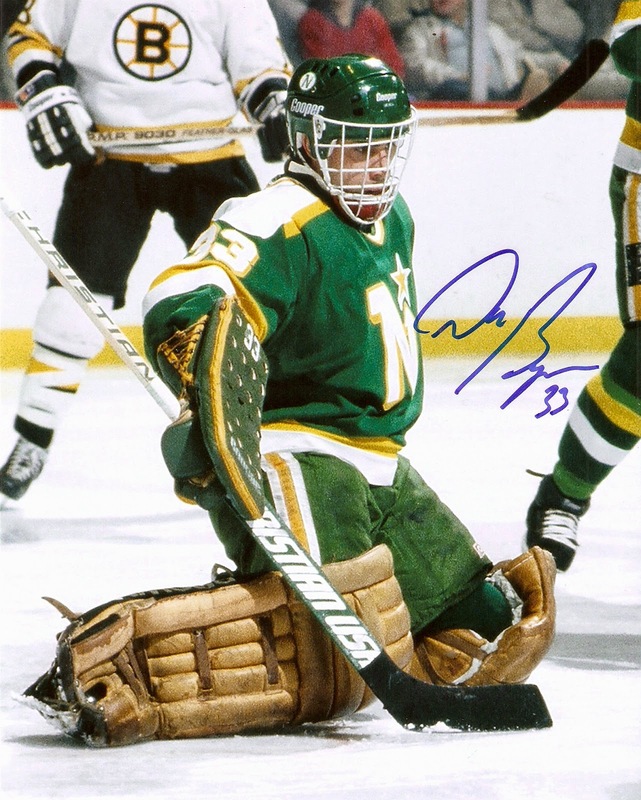 Most of my area in-person autograph opportunities take place in the Minneapolis area, which is a four-hour drive away from Moorhead, MN, so the ones I attend in person usually are pretty special. Now sometimes, it can be a challenge to convince my wife that such a trip is necessary, especially when you consider the time & money it takes to make such a trip, as well as figuring out whether to take the kids along or find a sitter for the day. Luckily, she was wanting to make a trip to the outlet stores that are in that area, and when she asked me if there were any signings coming up soon that I wanted to go to while she shopped, well, that took care of things. This specific event was the third annual Rock and Jock Expo, held in New Hope, MN, a suburb of Minneapolis. It is put together by FanHQ and combines music and sports for an afternoon of fundraising for local causes. The big deal is the many autograph guests that come each year, but there is also live music, as well as records and sports memorabilia for sale. 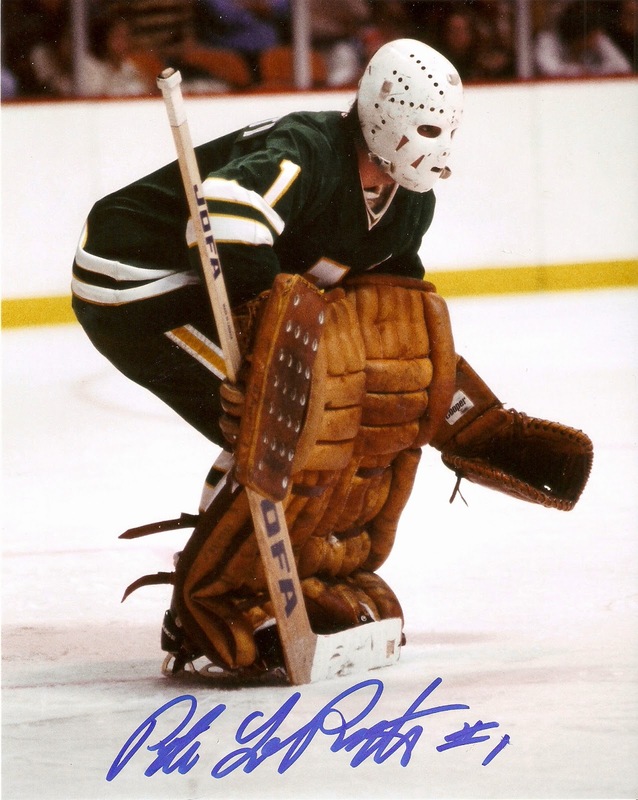 The big draw for the event was the "Minnesota North Stars Goalie Reunion." 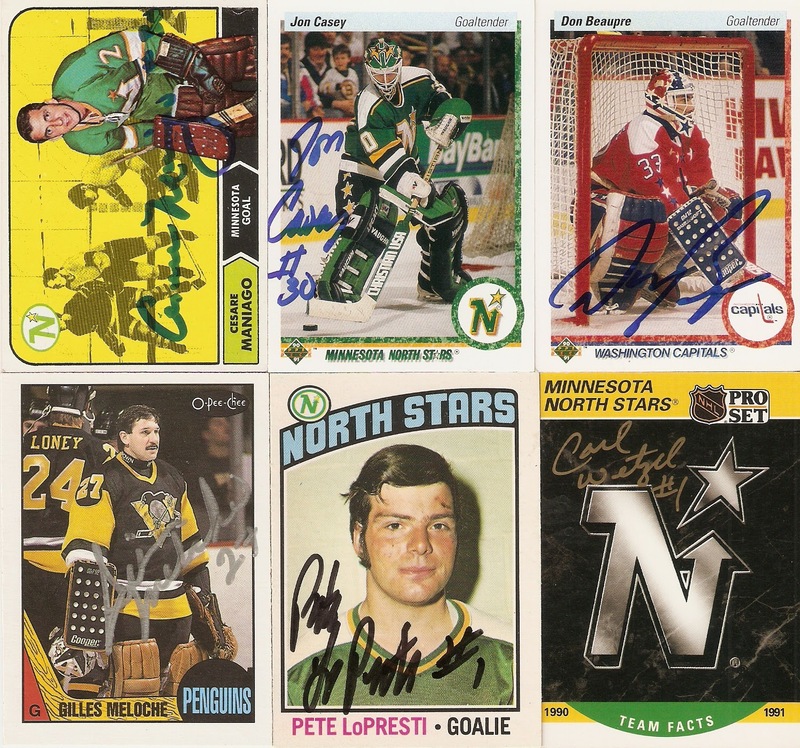 Six former goaltenders were signing autographs, and when you combine all six, could be had for less than 10 bucks a piece, with proceeds benefiting the Minnesota NHL Alumni Association. 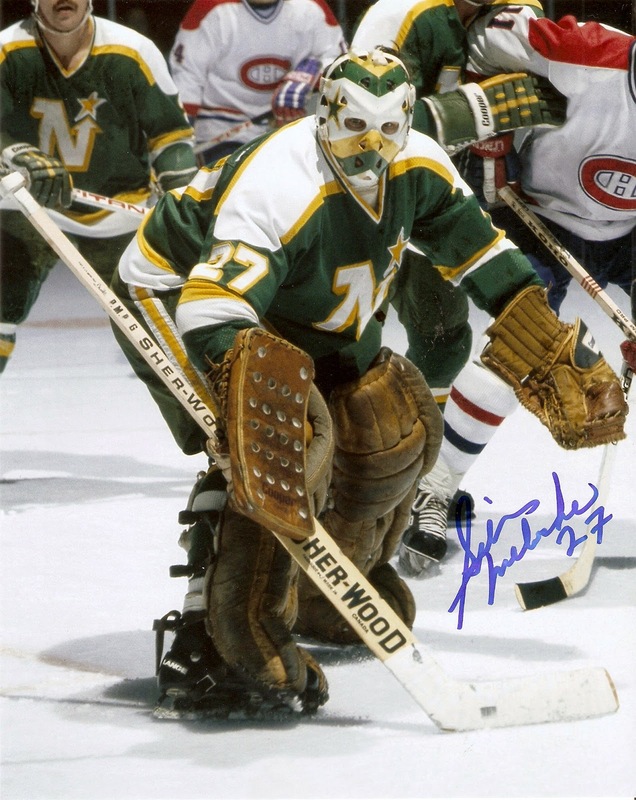 I came prepared with cards, but once I saw some of the 8x10s they were selling, I had to indulge that side as well. I ended up with each player signing both a photo and a card. Minnesota Vikings wide receiver Adam Thielen was also signing autographs at the event. He wasn't charging a fee for his signature, but was requesting donations for his former college teammate Isaac Kolstad, who suffered a serious brain injury when he was assaulted outside of a Mankato, MN bar last May. 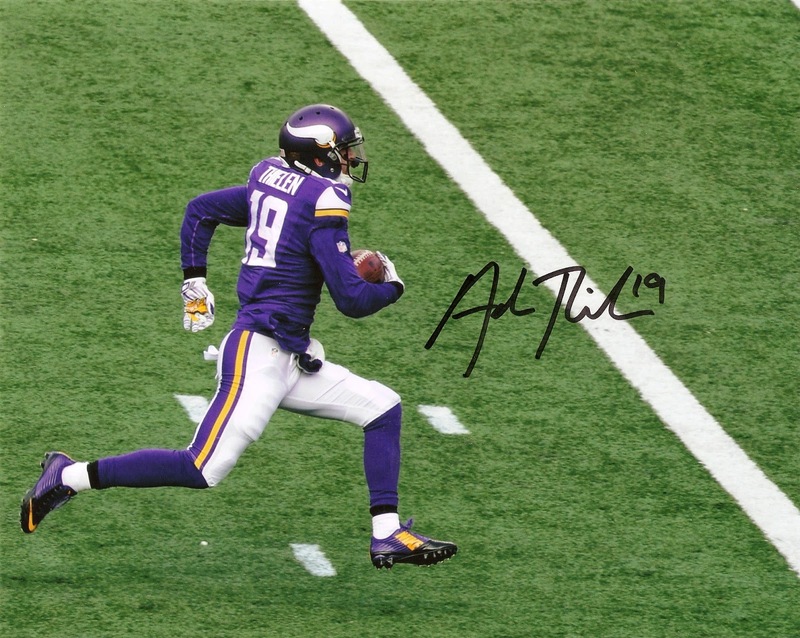 Kolstad was at the event as well to show his appreciation to his supporters, and he signed 22 limited edition 16x20 prints of him and Thielen. I picked up one of those, as well as an 8x10 of Thielen for my photo collection. 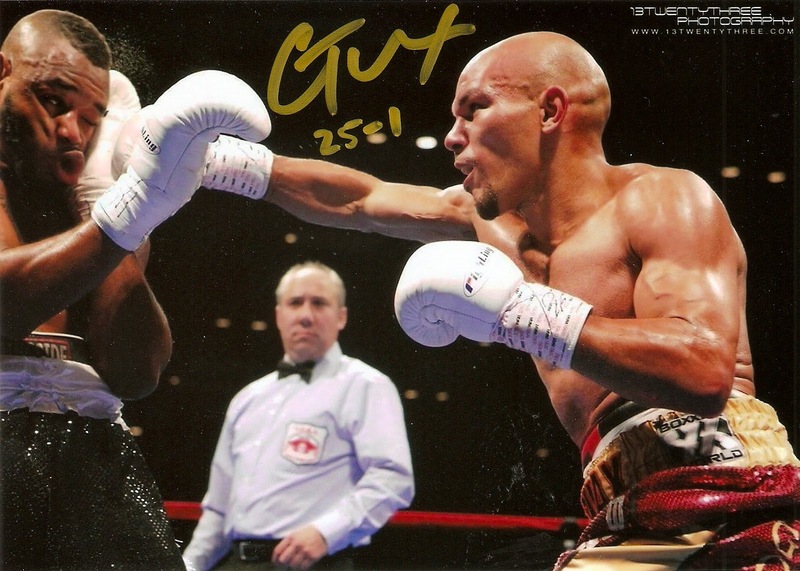 Lastly, Minnesota boxer and current USBA Middleweight Champion Caleb Truax was at the event signing free autographs. 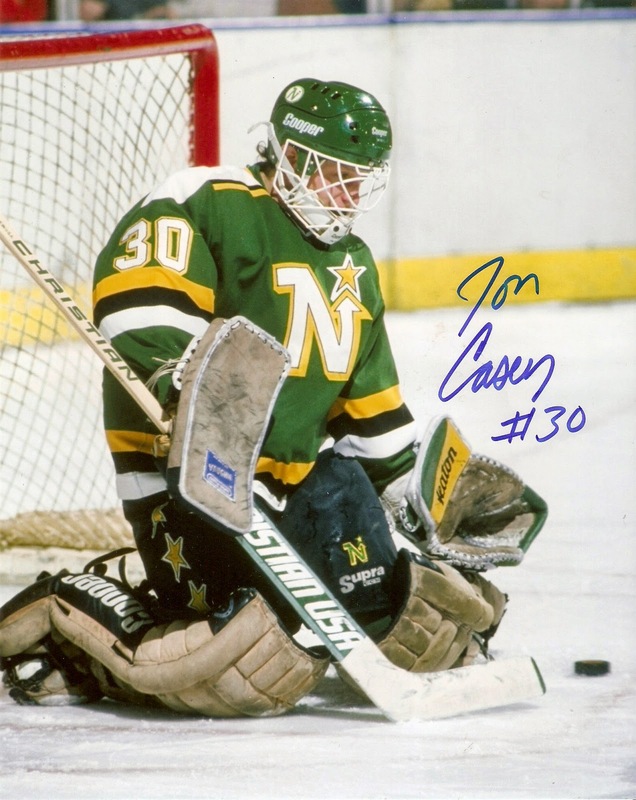 He was at the Minnesota Sports Holiday Show that I went to last September, and each time was such a nice, friendly person to everyone who stopped by. He is set to get his big national break when he faces Danny Jacobs April 24 on SpikeTV for the WBA Middleweight Championship. Lastly, is the one item I picked up that isn't autographed...yet. There were quite a few seat backs from the Hubert H. Humphrey Metrodome for sale for just $10. It's cheap, and a pretty cool collectible for any Minnesota sports fan, but I picked it up with the idea of getting it signed by the many Twins and Vikings who played in the dome. It may take a while, but it's going to look great when it finally gets some ink scribbled all over it. I always love the many autographed opportunities that are available in the Minnesota area. There are plenty of current and former athletes, and they all seem nice, and happy to be interacting with the fans. Due to the fact that I live 4 hours away from the cities, I can't make them all, but the ones I am able to get to certainly make it well worth it. Great googly moogly. 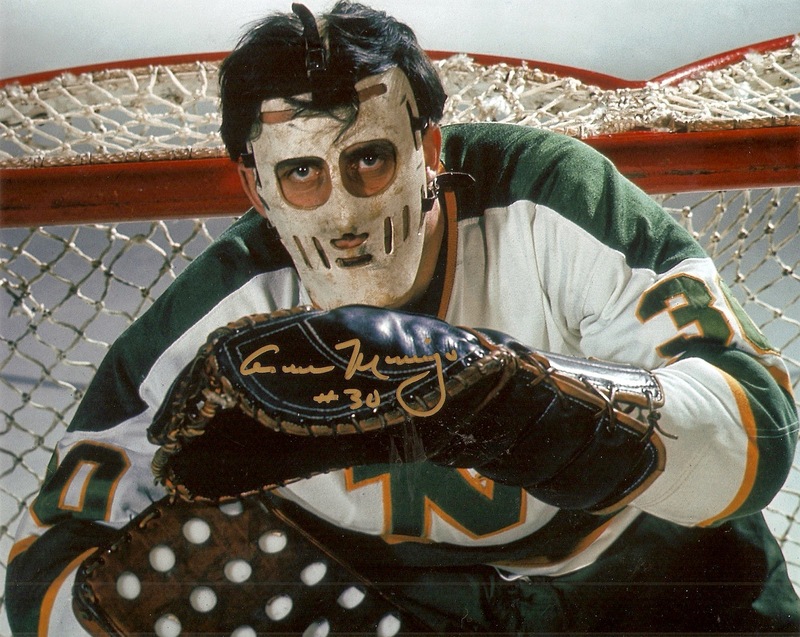 If you ever want to swap a couple of those goalie pics, hit me up. Great stuff,the Maniago is fabulous. 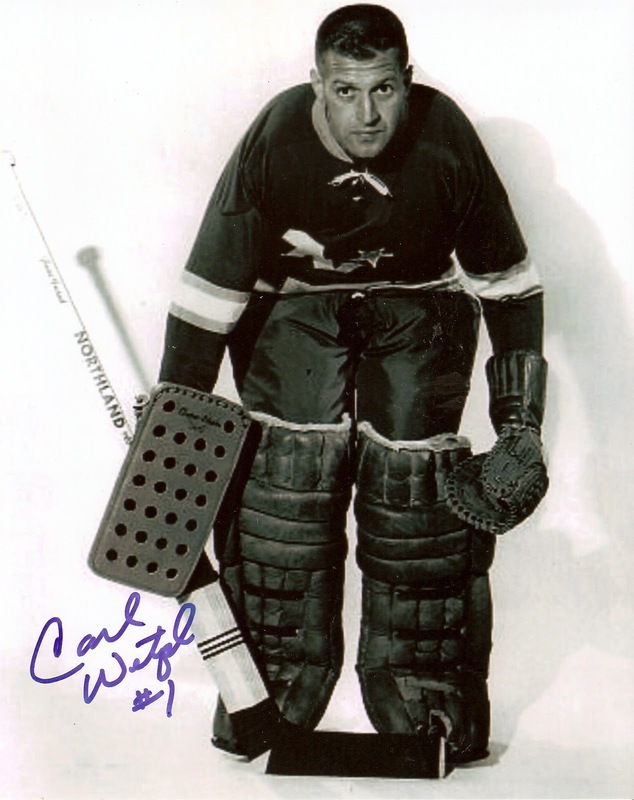 He was the first Rangers goalie I saw play in person.